Visa, MasterCard, Discover, and debit cards can be used through any of the above online retailers. If you have any questions regarding your payment options please contact us. Money orders, cashier's checks, and personal checks are also accepted. 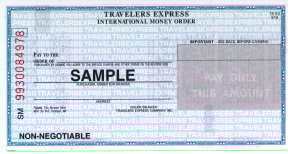 Personal checks must clear before the order is shipped out; usually 7 business days. Cash is accepted, but we DO NOT recommend it. All orders are processed within 24-48 hours upon receipt of payment. Personal checks must clear before the item is shipped out (usually 5 business days).